The country’s Hugot Queen Angelica Panganiban gives an interesting introduction and acts as muse of the new “Para Kay Ex” book, an exciting guide to moving on by ABS-CBN Publishing penned by pseudo writer Beau Ang. “Many forget about the real reason why we need healing—it’s because we got hurt, got angry, got sad, and questioned ourselves. This book gave me the freedom to be angry and to accept my pain,” shared the “Banana Sundae” star in the book’s foreword. 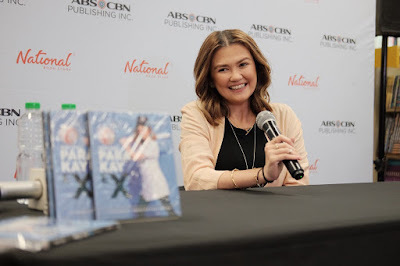 Laid out in colorful pages of “Para Kay Ex” are hilarious sentiments, jokes, and activities relating to the pains of dealing with an ex-best friend, an ex-boss, an ex-lover or someone who was never yours in the first place. Aside from sharing her views, The “Ang Dalawang Mrs. Reyes” actress also served as the book’s featured celebrity with must-see photos of her acting out the many “hugot” lines written on the pages. Beau Ang’s must-grab manual allows readers to mourn, express their bitterness, and cope up with heartaches through activities with funny twists. The witty author also believes that sometimes, the worst place you can be is in your own head. 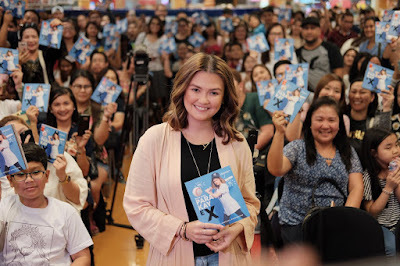 “Para Kay Ex” is exclusively available in all National Bookstore outlets nationwide at P195.